New Delhi: Reservation in jobs and education in Rajasthan has exceeded the 50 per cent cap and it cannot be stretched further, the Supreme Court has said, effectively freezing the state's bid to give quota to Gujjars for now. Quota for Gujjars cannot be implemented till High Court makes a decision, the top court has said. 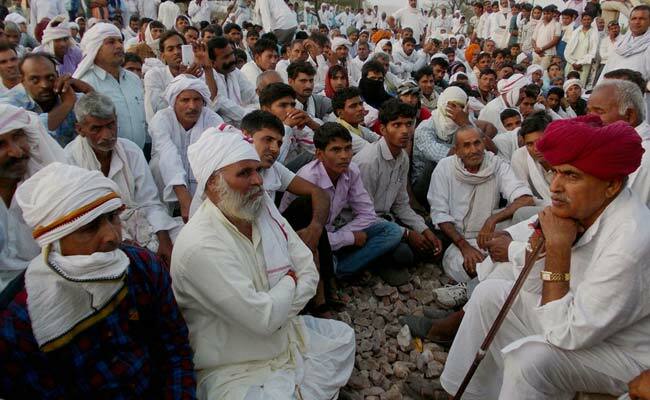 The state government had promised 5 per cent quota to Gujjars in August after yet another bout of agitation. It had planned to expand the reservation for Other Backward Classes from the present 21 per cent to 26 per cent and give 5 per cent reservation to Gujjars and other castes. Currently, the total reservation in the state stands at 49 per cent. After the expansion, it would have crossed the 50 per cent legal ceiling. The bill to this effect, which was introduced in the monsoon session of the state assembly, was however, put on hold by the Rajasthan High Court after an appeal against it. The order of the top court -- passed on November 13 and made available today - said the High Court order staying the legislative process was "totally uncalled for and, therefore, that part of the impugned order is stayed". The court, however, added: "Taking into consideration the facts and circumstances of the case and various decisions of this Court, we are inclined to restrain the State Government from taking any action or decision on the administrative side or in any manner conferring the benefit of reservation, which will have the result of crossing the total reservation beyond 50%."